There are 2 cat videos tagged with roomba. Cat Wearing A Shark Costume Cleans The Kitchen On A Roomba. Shark Week. #SharkCat cleaning Kitchen! 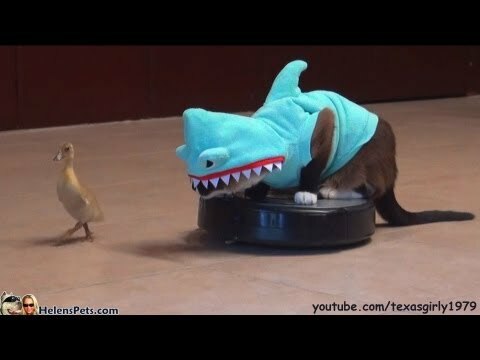 Cat Wearing A Shark Costume Cleans The Kitchen On A Roomba. SHARK Cat Week is here!! !